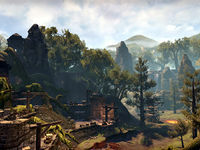 The Ruins of Mazzatun have long been a blight on the pristine marshland of Shadowfen. 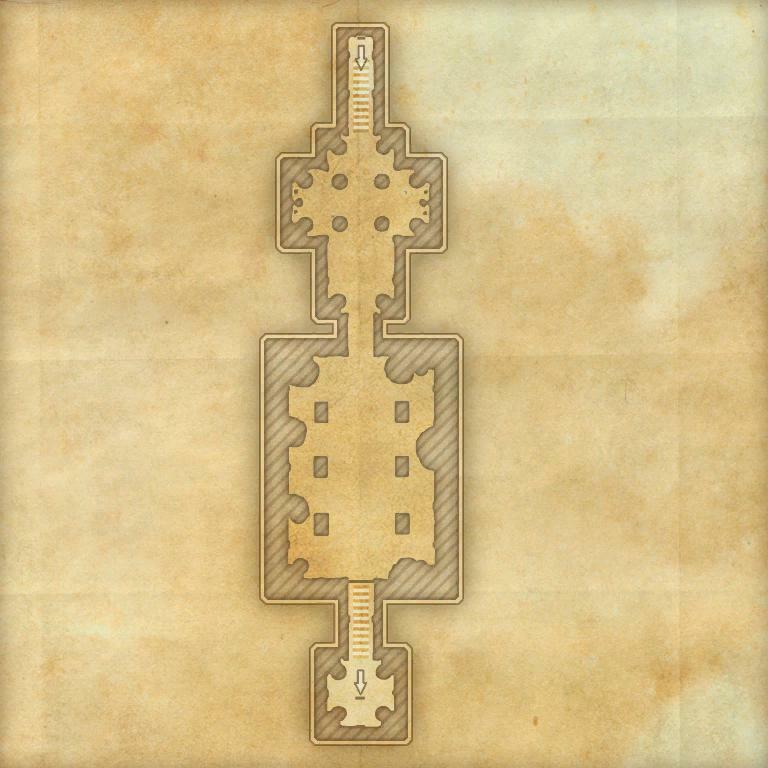 Legend tells of a Mad Hist at the center of the ruins, but Argonians who enter the "Puzzle City" seldom live to tell the tale. 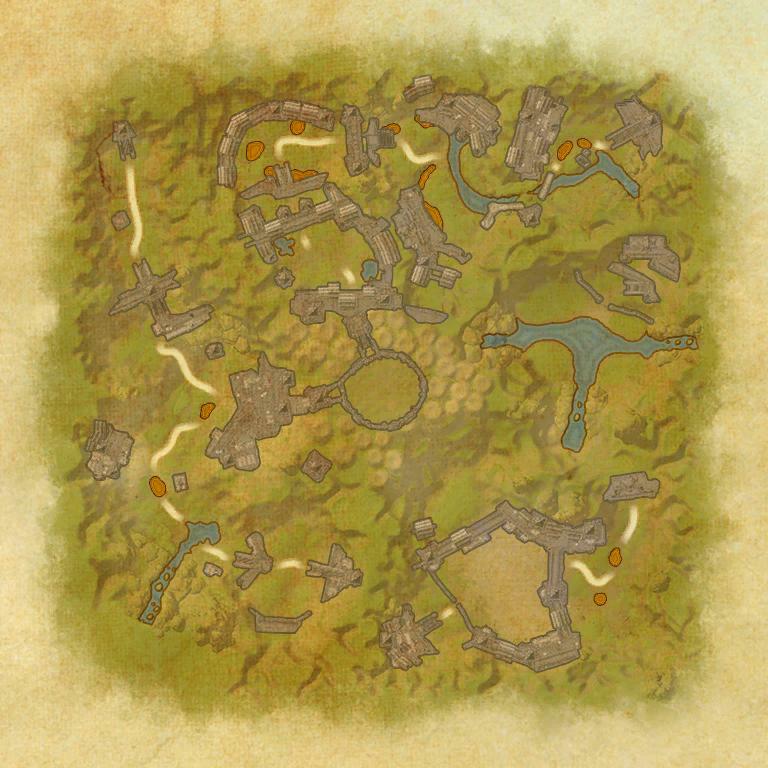 Ruins of Mazzatun is a group dungeon in Shadowfen. 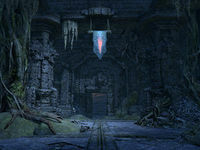 It's part of the Shadows of the Hist dungeon pack DLC, along with Cradle of Shadows. 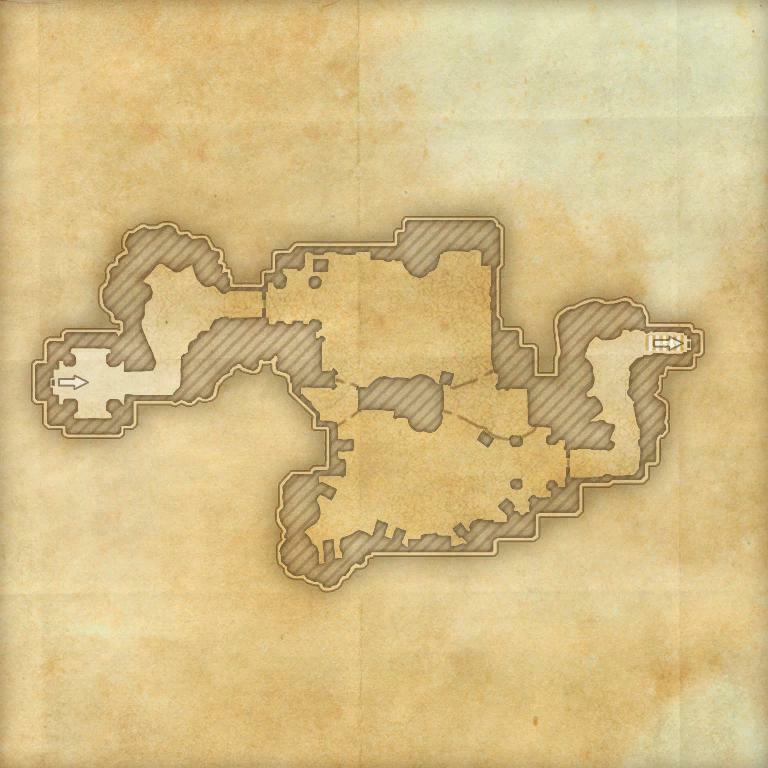 The ruins can be entered from a cave at Hei-Halai, west of Stormhold. 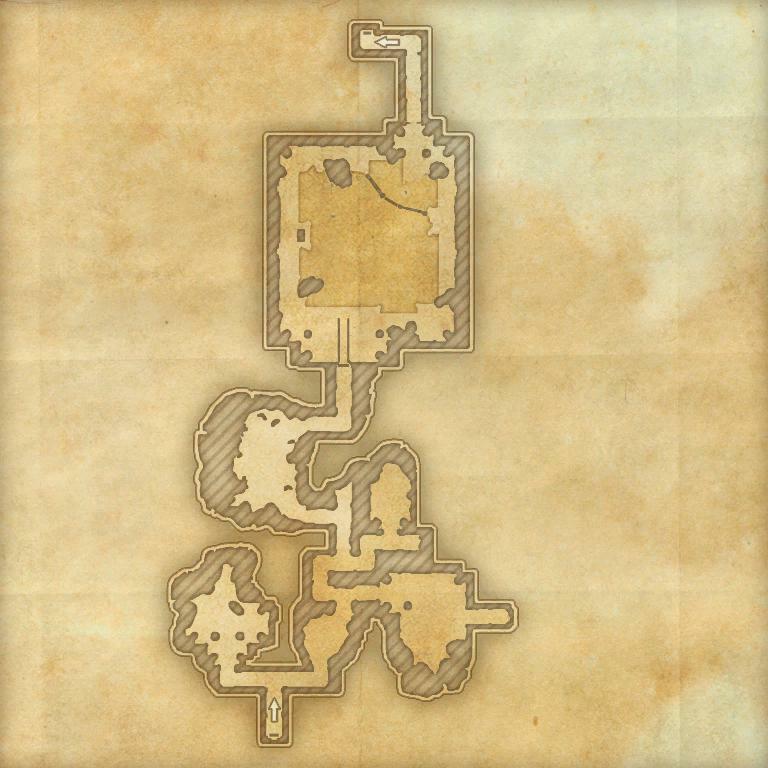 Similar to the Imperial City group dungeons, Mazzatun has an objective quest as well as a repeatable pledge from Urgarlag Chief-bane. Its dungeon sets are Amber Plasm, Aspect of Mazzatun, and Heem-Jas' Retribution. Ruins of Mazzatun Objective: Explore the Ruins of Mazzatun. / You put an end to the evil infecting the Ruins of Mazzatun. 2 items: Gain Major Ward and Major Resolve at all times, increasing your Physical and Spell Resistance by 5280. Ruins of Mazzatun Challenger 50 Complete the listed achievements for Veteran Ruins of Mazzatun. Ruins of Mazzatun Conqueror 10 Defeat Zatzu the Spine-Breaker, The Mighty Chudan, Xal-Nur the Slaver, and Tree-Minder Na-Kesh in Veteran Ruins of Mazzatun. Tree-Minder's Mania 50 In Veteran Ruins of Mazzatun, defeat Tree-Minder Na-Kesh after enraging her by destroying her alchemical notes on Amber Plasm. Ruination 50 Defeat Zatzu the Spine-Breaker, The Mighty Chudan, Xal-Nur the Slaver, and Tree-Minder Na-Kesh in Veteran Ruins of Mazzatun within 30 minutes of starting the dungeon. Timer starts on passing through the first archway. Unbowed 50 Defeat Zatzu the Spine-Breaker, The Mighty Chudan, Xal-Nur the Slaver, and Tree-Minder Na-Kesh in Veteran Ruins of Mazzatun without suffering a group member death. Ruins of Mazzatun Vanquisher 10 Defeat Zatzu the Spine-Breaker, The Mighty Chudan, Xal-Nur the Slaver, and Tree-Minder Na-Kesh in the Ruins of Mazzatun. Sludge-Slinger Slayer 10 Defeat 50 Xit-Xaht Sludge-Slingers in Veteran Ruins of Mazzatun. Xit-Xaht Slayer 10 Defeat 600 members of the Xit-Xaht tribe in Veteran Ruins of Mazzatun. Mazzatun Massacre 10 Defeat Tree-Minder Na-Kesh after first eliminating all other enemies in Ruins of Mazzatun. Savior of the Su-Zahleel 10 Rescue all six of the Su-Zahleel Elders from the Ritual Chamber in Veteran Ruins of Mazzatun. Sapped Sludge Slingers 10 Complete Ruins of Mazzatun without ever allowing a Sludge Slinger to empower one of its allies with Amber Plasm. Haj Mota Matador 10 Defeat the Mighty Chudan in Veteran Ruins of Mazzatun without any party members being hit by Bog Rush. Obedience Training 10 Defeat Xal-Nur the Slaver in Veteran Ruins of Mazzatun without unleashing any Wamasu to assist you. Clean Freak 10 Defeat Xal-Nur the Slaver in Veteran Ruins of Mazzatun with only one party member cleansing the Swamp Spice. Other party members may still touch the Swamp Spice. Blind Luck 10 Defeat Tree-Minder Na-Kesh in Veteran Ruins of Mazzatun without any party members using the Reveal synergy to identify the real Avatar of the Hist. Sticky Situation Savvy 10 Defeat Tree-Minder Na-Kesh in Veteran Ruins of Mazzatun without any party members being struck by Blistering Amber. This page was last modified on 2 March 2019, at 16:56.